This is the sec­tion for those of you who would con­sider them­selves “tech­ies”. Any­one who doesn’t know what they’re doing shouldn’t go any fur­ther. I will not be held respons­ible for any­thing you break as a res­ult of read­ing the advanced sec­tion! In this sec­tion there are details of how the pro­ced­ure works. There are also oth­er use­ful resources, includ­ing inform­a­tion on firm­ware for Nokia phones, and for USB devices. I have also included a com­plete file archive of all the use­ful Bluetooth related util­it­ies that I have. I have added many device VID and PID com­bin­a­tions into the btwusb.inf file to add sup­port for those devices. The device sub­mis­sion page auto­mat­ic­ally updates the file with new devices. The strings dif­fer between ver­sions but are usu­ally quite sim­il­ar, and using wild­cards the new patch­er can patch most ver­sions. 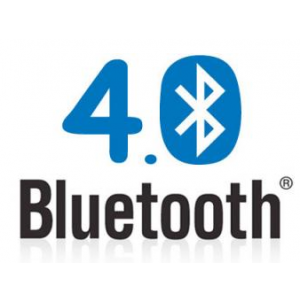 Nokia Bluetooth Phones: Firmware updates often required! Sev­er­al Nokia phones require firm­ware updates before they will sup­port Bluetooth cor­rectly. You can check your firm­ware revi­sion by typ­ing *#0000# on the phone’s keypad. You can take your phone to a Nokia licensed repair shop and they will update the firm­ware for you for free as long as the phone is still with­in its Nokia war­ranty peri­od. Be warned that I know of at least 1 case where a firm­ware update has caused the loss of all per­son­al­ised inform­a­tion stored on the phone. I strongly advise that you make a copy of any import­ant data from your phone before hav­ing it updated. Sev­er­al people have asked about firm­ware updates for USB Bluetooth devices. Wid­comm used to sup­ply an updated firm­ware with their drivers, but new­er ver­sions have not come with an update. I have a gen­er­ic CSR Firm­ware that you can down­load if you think you NEED it. It is dated 31st-March-2004, and includes CSR’s HID sup­port that allows the use of Bluetooth Key­boards and Mice before the OS has loaded (for example allows the use of a Bluetooth key­board to modi­fy BIOS options). The Wid­comm drivers are sup­plied with a firm­ware update util­ity for most devices, includ­ing CSR devices. WARNING: Use this firm­ware update at your own risk!! Down­load the update file from the Down­loads page.